Google Microsoft rivalry has just got fiercer. Search giant Google is once again ready to take on Microsoft with its new operating system. The company announced Google Chrome OS on its blog this week, saying that the lower-end PCs called Netbooks from unnamed manufacturers will include it in the second half of 2010. Google already has rankled Microsoft by luring away some of its top employees and developing an online suite of computer programmes that provide an alternative to Microsoft's top-selling word processing, spreadsheet and calendar applications. With Chrome OS, Google attempts to wrest away Microsoft Corp's long-running control over people's desktop. Here's looking further what is Google's OS all about. The new Google Chrome Operating System will be an open source, meaning the programme code will be open to developers. The operating system will run in a new windowing system on top of a Linux kernel -- computer coding that has been the foundation for the open-source software movement for nearly two decades. For application developers, the web is the platform. All web-based applications will automatically work and new applications can be written using users favourite web technologies. And these apps will run not only on Google Chrome OS, but on any standards-based browser on Windows, Mac and Linux thereby giving developers the largest user base of any platform. It's surely open source, but it's not Android. 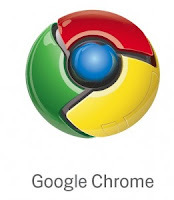 As Pichai and Upson wrote on Google's official blog, "Google Chrome OS is a new project, separate from Android. Android was designed from the beginning to work across a variety of devices from phones to set-top boxes to netbooks. Google Chrome OS is being created for people who spend most of their time on the web, and is being designed to power computers ranging from small netbooks to full-size desktop systems. While there are areas where Google Chrome OS and Android overlap, we believe choice will drive innovation for the benefit of everyone, including Google." Google has already introduced an operating system for mobile devices, called Android that vies against various other systems, including ones made by Microsoft and Apple Inc.
Analysts expect Google to make the new OS free, or charge at most charge a nominal fee. They believe that the company's traditional business model has been to earn revenue off connecting applications or advertising. The search giant initially aims to install the new system on small, low-cost computers popularly known as Netbooks. These slimmed down laptops are currently giving which are currently outselling more powerful personal computers. Google said that it believed the software would eventually be used on PCs as well. Google is touting the 3S of the new OS: speed, simplicity and security. According to Google, the OS is fast and lightweight to start up and get onto the web in a few seconds. As Pichai and Upson wrote in the blogpost, "We're designing the OS to be fast and lightweight, to start up and get you onto the web in a few seconds. The user interface is minimal to stay out of your way, and most of the user experience takes place on the web." Just like the Chrome browser, Google lays special emphasis on OS' security. The search giant has completely redesigned the underlying security architecture of the OS. Google Chrome OS will run on both x86 as well as ARM chips. The OS will support all Web-based standards. Google is talking to manufacturers and hopes to have netbooks in the market in the second half of 2010. All web-based applications will automatically work and new applications can be written using web technologies. These apps will run not only on Google Chrome OS, but on any standards-based browser on Windows, Mac and Linux thereby giving developers the largest user base of any platform.